Beauty News: Happy Birthday Dry & Tea! Regular readers of my beauty-related wafflings online and in print will know of my love for Dry & Tea, which has become so much more than just the ‘dry style’ bar that everyone envisaged. It now is home to some of the city’s best stylists, executes killer colours and cuts AND - in the CityWorks Depot location - serves it up with a glass of bubbles! So, it is will much joy that I greeted the news that it is Dry & Tea’s first birthday next week, and true to form, they want to share the love. 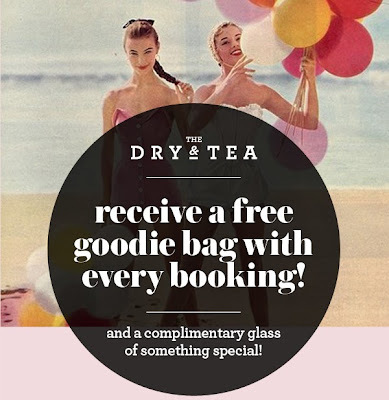 Come enjoy the fun with from the 16th - 21st September and leave not just with beautiful hair, but also a complimentary goodie bag featuring some of the Dry & Tea team’s favourite brands AND a glass of something special!